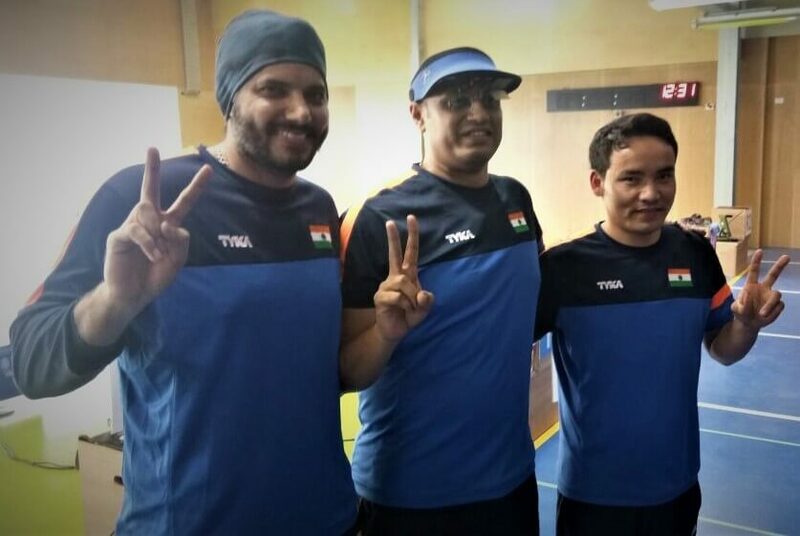 Indian shooters registered a 1-2-3 finish in the Men’s 50m Pistol with Olympian Prakash Nanjappa claiming his first international gold medal ahead of Amanpreet Singh and Jitu Rai who won silver and bronze in the Commonwealth Shooting Championship. In the Men’s Double Trap, World No. 1 Ankur Mittal asserted his class to win gold while Shreyasi Singh bagged a silver in the Women’s Double Trap to round off yet another successful day for India at Brisbane. India have so far won 15 medals at the ongoing championship which includes 5 gold medals. Jitu, who fetched his second bronze at the championship, topped the qualification round with a score of 559 (95,89,94,95,92,94), while Amanpreet and Prakash shot 543 (85,93,91,93,90,91) and 542 (93,88,89,90,89,93) respectively. 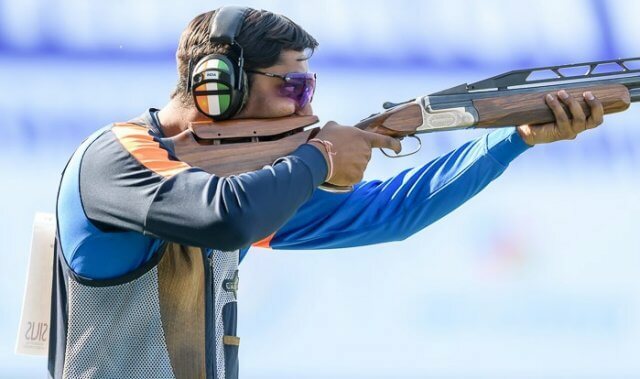 In the finals, Prakash had a slow start and was placed 5th after the first five-shot series but after the second series, it was clear that the race was going to be among the three Indians, with the trio pulling away from the rest of the field. Amanpreet had a lead of 0.1 over Prakash before the last shot to decide the gold. However, Amanpreet could only shoot a 9.7 on his last shot while Prakash held on to his nerves and shot a 10.2 to claim the gold with a margin of 0.4 point. Jitu was happy to add another bronze to the air pistol bronze that he had won earlier. In the Men’s Double Trap, Ankur defeated Matthew French of England 74-72 for the gold. Mohd Asab finished 4th while Sangram Dahiya who had won silver in the World Cup Final at Delhi recently, finished 6th. Earlier, Mohd. Asab topped the qualification in the shoot-off after being tied on 140 with two others including William Chetcuti of Malta. Ankur shot 138 while Sangram shot 135. In the Women’s Double Trap, the 2014 Commonwealth Games silver medallist Shreyasi Singh shot 96 to win the silver while Seema Tomar shot 84 to finish 5th. Men’s 50m Pistol: 1. Prakash Nanjappa (IND) 222.4 (542); 2. Amanpreet Singh (IND) 222.0 (543); 3. Jitu Rai (IND) 201.9 (559). Men’s Double Trap: 1. Ankur Mittal (IND) 74 (138); 2. Matthew French (ENG) 72 (140); 3. Nathan-Lee Xuerub (MLT) 54 (139); 4. Mohd. Asab (IND) 45 (140); 6. Sangram Dahiya (IND) 23 (135). Women’s Double Trap: Emma Cox (AUS) 103; 2. Shreyasi Singh (IND) 96; 3. Rachel Parish (ENG) 93; 5. Seema Tomar (IND) 84.